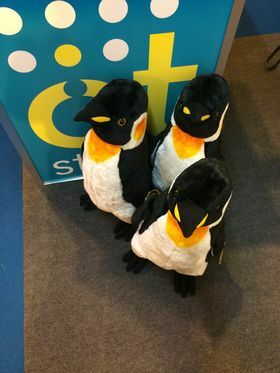 Thank you to everyone who visited our stand at The OT Show 2014- we’re sure you won’t have forgotten our Penguin friends! We are delighted to announce not only 3 (but has you will have read in the article) 5 lucky winners!! Thank you to everyone who entered- we know some of you will be disappointed, but we’re sure all 5 penguins are on their way to good homes ……….